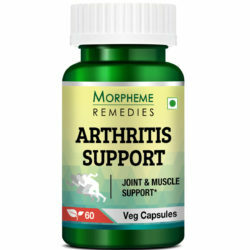 Morpheme Remedies Boswellia Shallaki is the best dietary supplement, that possesses anti-inflammatory and anti-arthritic properties. Boswellia extract, the main ingredient of this dietary supplement is beneficial and believed to help people suffering from arthritis and other chronic joint conditions. The Boswellia serrata or Shallaki extract used in the product is of premium quality and is free from contaminants, additives, and chemicals. 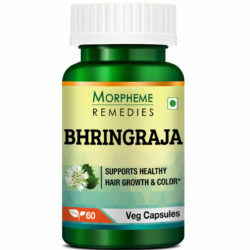 Also, this Product is a 100% natural ingredient, very safe and reliable with no adverse side effects. Morpheme Remedies is a popular brand for the believers of ancient and time tested herbal supplements. 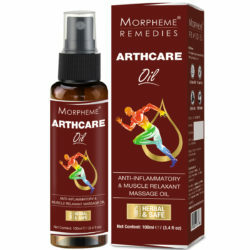 The team Morpheme Remedies go the extra mile and uncover secrets from the ancient texts. Extensive research goes into the herbs and formulations mentioned herein, to bring to their customer’s dietary supplements which are safe and effective. 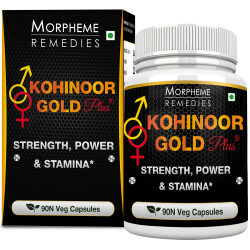 All Morpheme Remedies are manufactured with state-of-the-art technology in accordance with the stipulated guidelines. Procured from quality sources, the contents undergo stringent quality tests. 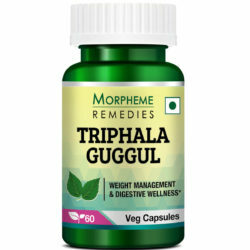 The Morpheme Remedies Boswellia Shallaki, like many of their products, is a beneficial supplement. The contents are absolutely reliable and are usually considered safe even if they are consumed for a prolonged period. People often face pain and discomfort arising out of inflammation and arthritis. Pain-killers, various therapies, and surgeries are generally recommended for relieving the pain, which may not produce the desired result. 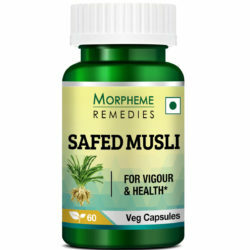 Perhaps they now have an effective dietary supplement that could help in combating pain and inflammation with Morpheme Remedies Boswellia Shallaki 500 mg veg. capsules. The dietary supplement helps support joint health and that too without any negative side effects. Free from contaminants and additives. Boswellia Serrata is also known as Shallaki or Indian Frankincense. The gum resin extract from the tree has been used since ages. Studies suggest that this herbal element could be beneficial in conditions related to osteoarthritis, rheumatoid arthritis and as an anti-inflammatory agent. . The presence of active Boswellia acids in the Boswellia serrata gum resin is the prime inhibitor of pro-inflammatory enzymes. This awards it with its anti-inflammatory property which is especially beneficial in conditions of osteoarthritis. The supplement may help combat pain and immobility associated with arthritis . The degeneration of the joints often causes pain and swelling, due to which mobility gets restricted. 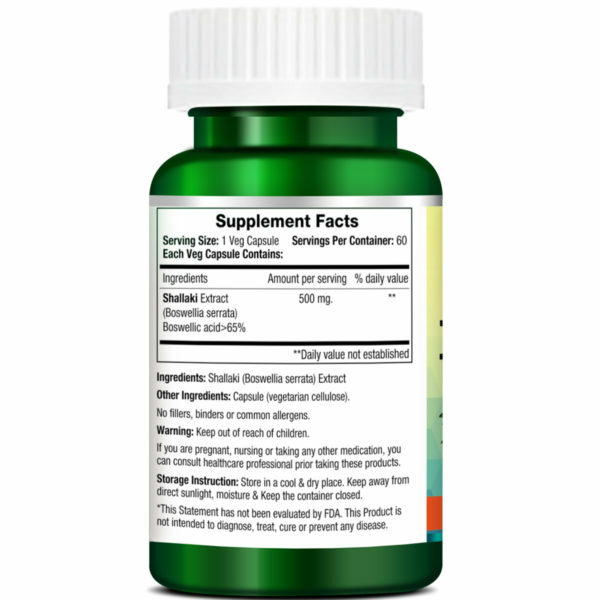 Supplementation with Boswellia serrata gum resin is found to help in supporting the structural integrity of the joint cartilage and helps maintain a healthy immune system which is active against the pain and inflammation. It is believed to help soothe the joint and may help keep the entire structure lubricated. This helps easy rotation and joint movement . 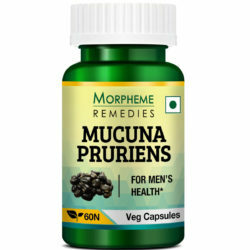 If you are already on some medication for a health disorder then it is advisable to consult a medical practitioner before taking the supplement. I am already on pain killers for knee issues. I have learned about the multiple benefits of this product. Can I take them along with my regular anti-inflammatory medications? By when will I see the effects? You may see improvements within a few weeks. But please consult your physician before starting with these supplements as they may interfere with your medications. Is Boswellia safe for consumption? Clinical studies have not reported any serious side effects of consuming Boswellia serrata extract. It is well tolerated and safe for health, and is suitable for long-term use. 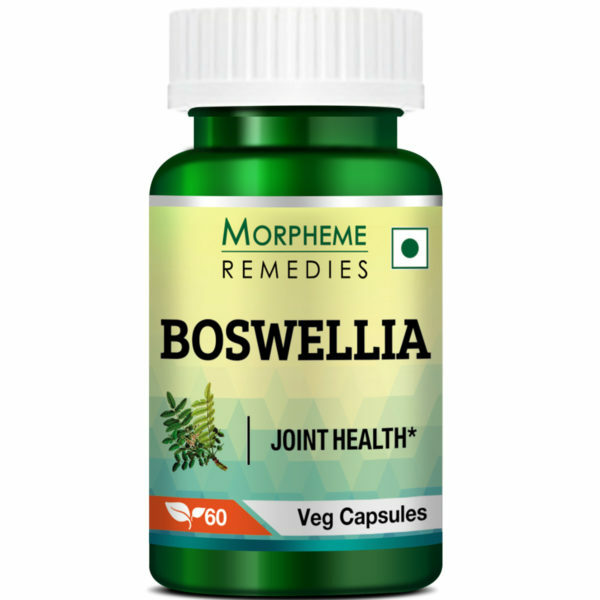 Morpheme Remedies Boswellia is a premium quality product, free from chemicals and contaminants. Manufactured according to the Good Manufacturing Practices guidelines, it is safe for consumption. With regular use according to direction, you may expect to experience significant improvement within few weeks. Can I take Boswellia with other drugs and supplements? 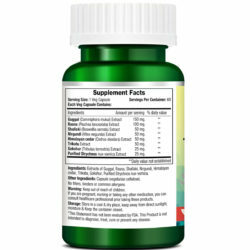 Boswellia can be used along with other drugs and supplements. Nevertheless, if you are suffering from a known health disorder, it is always advisable to consult your physician before taking any supplement. Natural herbs are one which can suites me as compared to another medicine for joint pain. And herbal remedies work effectively and provide relief from all kind of pain. Wonderful results! Best pills for joint pain relief. I would recommend these to all who have joint inflammation issues, this product poses an excellent anti-inflammation property. I am taking these capsules daily and they works like a miracle for me. Boswellia worked wonders for my mother. She was suffering from osteoarthritis of the knees for quite some time. Because of adverse side effect of pain killers we were looking for a natural anti-inflammatory product. Boswellia has lived up to our expectations. It has reduced my mother’s joint pain. Now she can walk easily. This is a very effective herbal product for reducing chronic inflammation and pain. It worked for my rheumatoid arthritis pain. It has reduced the joint swelling and stiffness. Boswellia is good for the achy joints. I am taking Boswellia capsule daily and found it quite helpful. One capsule twice daily is the recommended dose. For any changes, it is best to secure advice from a health care professional.